Oil Splatter on Sand Vinyl. Gatefold Sleeve, Reissue of classic original 1982 Brian May soundtrack. Limited to 1000 copies. 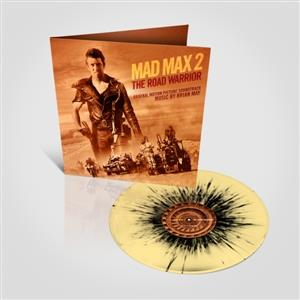 The second instalment in George Miller's disturbing post-apocalyptic film series, The Road Warrior (1981), saw Mel Gibson return as Mad Max Rockatansky to defend a community from a violent band of raiders. The film won a clutch of awards, was a box office hit and has achieved cult status, helped by its stylised costumes and sets. 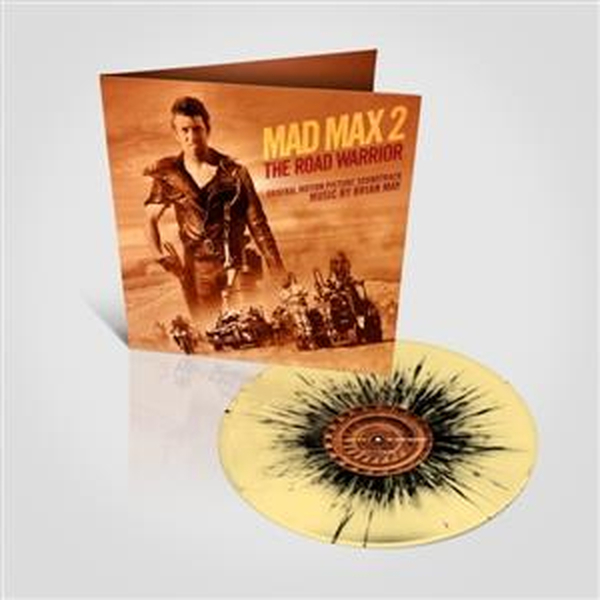 The last Mad Max film (Mad Max: Fury Road) was released as recently as 2015, receiving ten Academy Award nominations, confirming the franchise's lasting appeal. Australian composer Brian May wrote the music to the first two films (Mad Max and Mad Max 2 : The Road Warrior) as well a host of feature films including Patrick, Gallipoli, Freddy's Dead : The Final Nightmare and Dr. Giggles. He won multiple awards during his lifetime and is feted as one of Australia's most highly rated soundtrack composers.